Have you been getting your pond cleaned regularly but realised your fountain or water feature needs a good clean as well? Because your water feature and fountain will be constantly exposed to the water in your pond, it is open to growing algae as well as being a good collection point for leaves, fish waste, and plant waste, and let’s be honest – a dirty water feature or fountain can really take away from the relaxing focal point that a pond brings. The team at Home Style Fishponds use a combination of scrubbing and pressure cleaning to remove any buildup from your fountain or water feature. 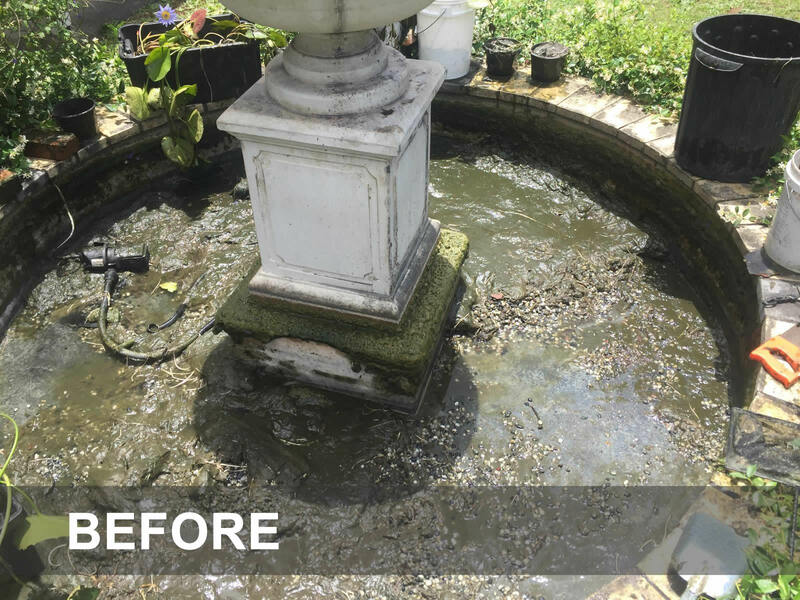 Pressure cleaning is a great way to remove build-up that may have been there awhile, while scrubbing will help those water features and fountains that have fine details that need manual cleaning. Like everything else to do with your pond, fountains and water features need regular cleaning and maintenance schedules to ensure they continue to function and look good. Home Style Fishponds will clean your pond’s filter to ensure there is no build-up of dirt and fish waste, as well as ensuring you have enough water to cover the pump and filter to ensure they don’t overheat and stop working. Other important factors in keeping your fountain or water feature looking great include ensuring the top of the pump is securely in place so that you don’t draw in small fish and plants and ensuring the water is kept moving through a clean filter to avoid algal growth. 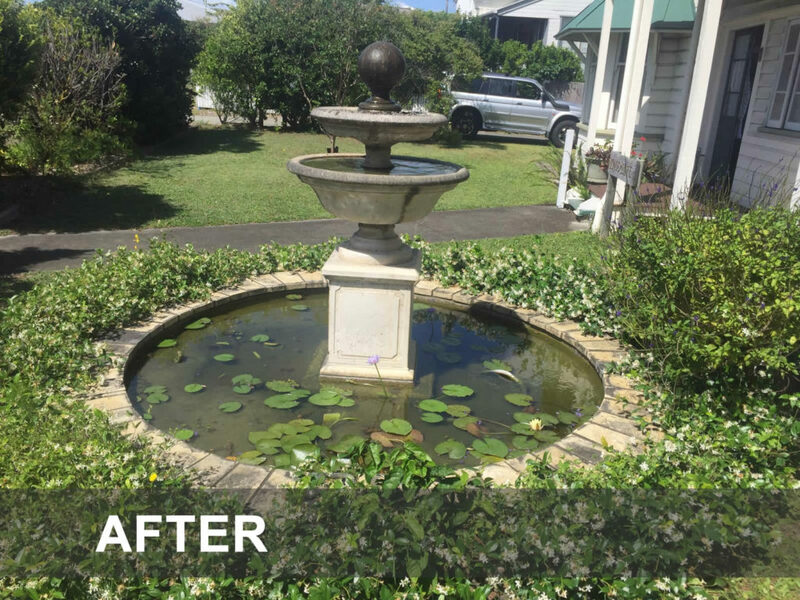 With regular cleaning and maintenance, the team at Home Style Fishponds will have your water feature or fountain working well and helping keep your pond’s overall clean and tidy look.